In Paris in 1954, a young man named André Baudry founded Arcadie, an organization for “homophiles” that would become the largest of its kind that has ever existed in France, lasting nearly thirty years. In addition to acting as the only public voice for French gays prior to the explosion of radicalism of 1968, Arcadie—with its club and review—was a social and intellectual hub, attracting support from individuals as diverse as Jean Cocteau and Michel Foucault and offering support and solidarity to thousands of isolated individuals. Yet despite its huge importance, Arcadie has largely disappeared from the historical record. 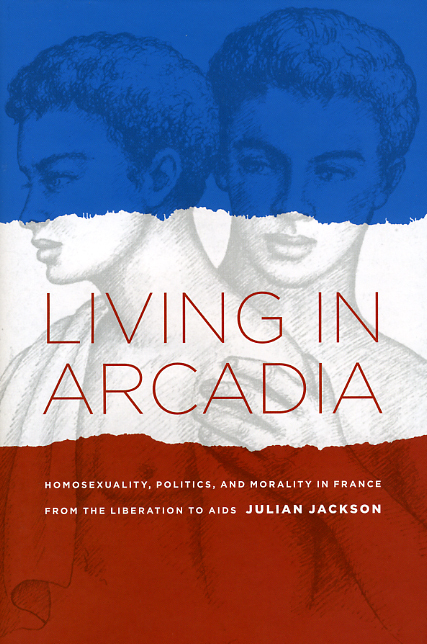 The main cause of this neglect, Julian Jackson explains in Living in Arcadia, is that during the post-Stonewall era of queer activism, Baudry’s organization fell into disfavor, dismissed as conservative, conformist, and closeted. Through extensive archival research and numerous interviews with the reclusive Baudry, Jackson challenges this reductive view, uncovering Arcadie’s pioneering efforts to educate the European public about homosexuality in an era of renewed repression. In the course of relating this absorbing history, Jackson offers a startlingly original account of the history of homosexuality in modern France. Monks in the Dark Ages? "A remarkable book full of vivid details about this forgotten episode in French gay history."